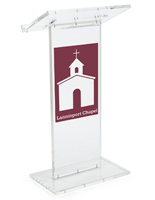 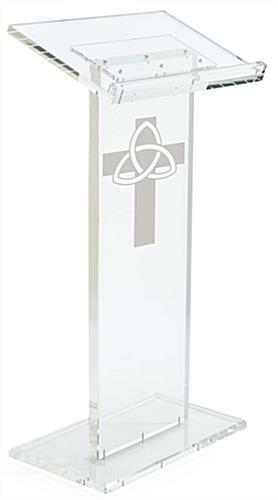 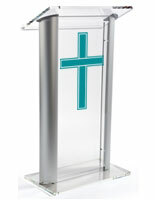 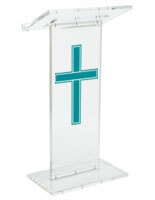 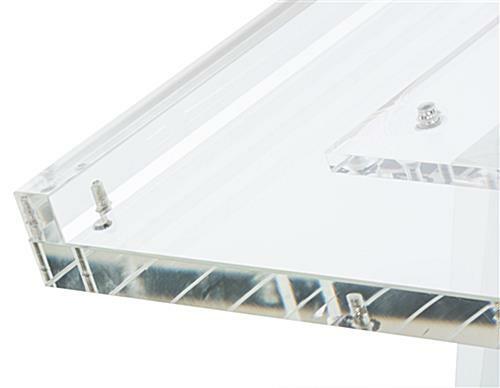 This acrylic lectern with cross gives the floor to clergy and speakers! 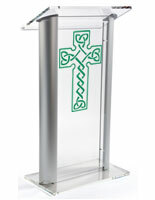 This podium is priced to sell, though its quality can't be denied; this stand ships unassembled, saving even more on costs. 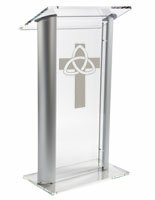 This lectern with cross, also known as church furniture, measures 45.5h”. 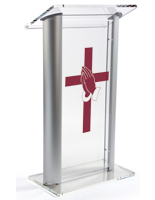 This 45.5" tall speaking center features a vinyl adhesion applied stock logo printed on an area 24"h x 14"w in size. 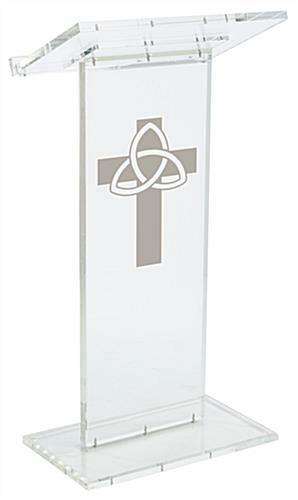 The etched appearance fools the eye - and keeps the price point down! 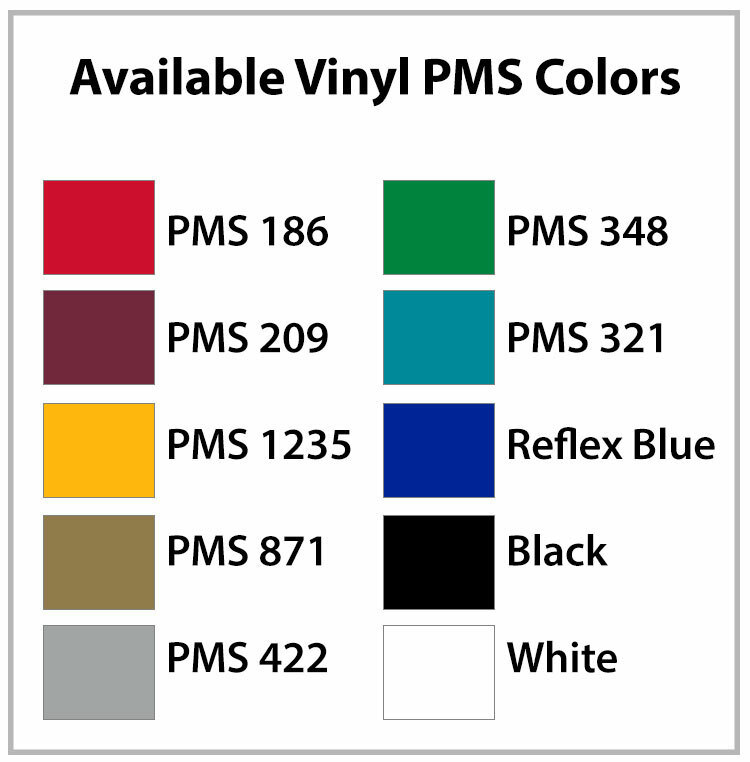 Choose one of ten beautiful colors. 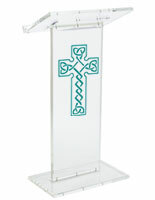 This acrylic presentation station with Trinity cross includes a cloth and cleaning solution to keep dust and fingerprints at bay.